Tom the Dancing Bug, IN WHICH Super-Fun-Pak Comix. 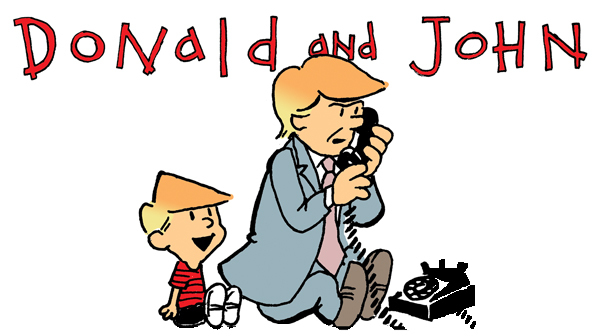 Tom the Dancing Bug, IN WHICH an impetuous young Donald Trump has only his trusty imaginary publicist John Miller to help him navigate a world that often confuses and confounds him. 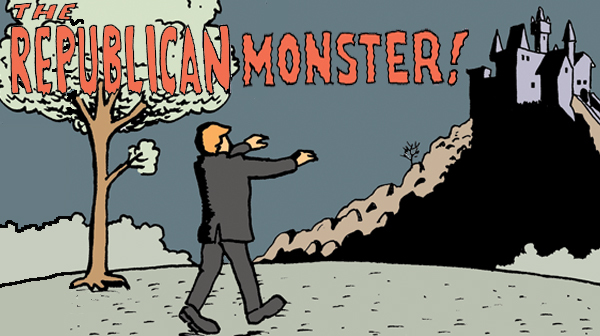 The Trump Monster Returns to the Laboratory for... Experiments! Tom the Dancing Bug, IN WHICH the Trump Monster returns to the laboratory in which he was created, in order to conduct his own experiments. 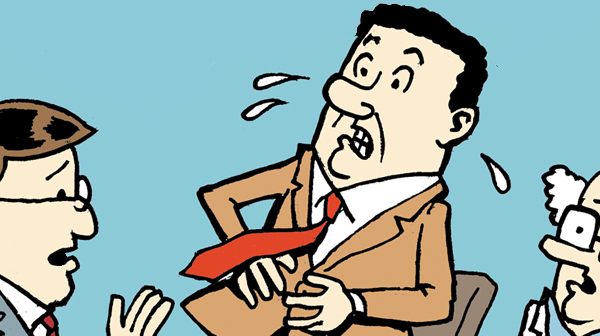 TOM THE DANCING BUG: Nate, in "Skeptic Shock"
Tom the Dancing Bug, IN WHICH Nate the Right Pundit bravely asserts that the Science just isn't settled yet, on such pressing issues as global warming and his acute appendicitis. 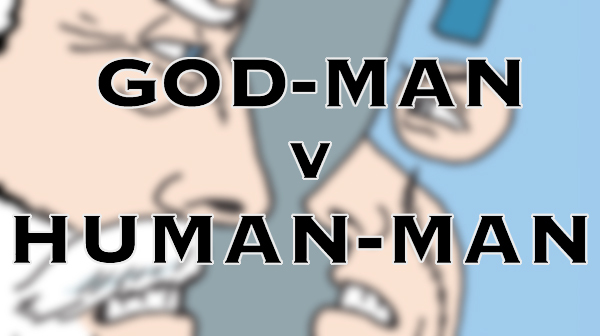 Tom the Dancing Bug, IN WHICH the omnipotent God-Man battles the very human Human-Man to a standstill! 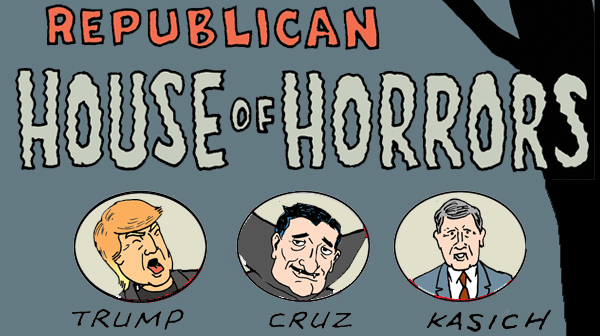 Tom the Dancing Bug, IN WHICH women seeking an abortion must enter… The Republican House of Horrors! 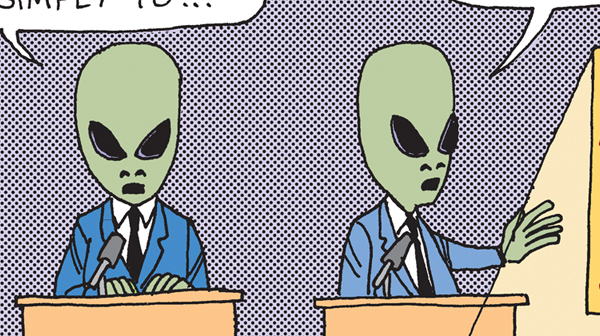 Tom the Dancing Bug, IN WHICH extraterrestrials finally reveal themselves and explain why they're here. 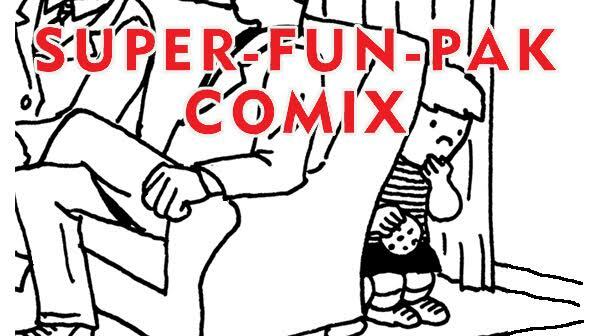 TOM THE DANCING BUG: Super-Fun-Pak Comix, feat. The Uncertainty Principal & More! 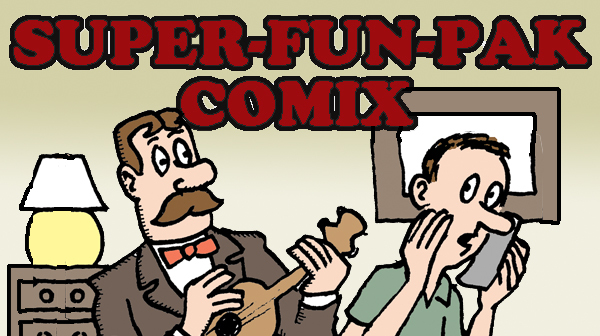 Tom the Dancing Bug, IN WHICH Super-Fun-Pak Comix are presented for your perusal and comical entertainment. 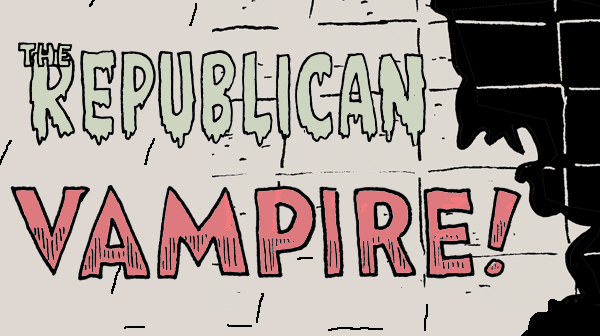 Can You Stand the Sight of… The Republican Vampire? 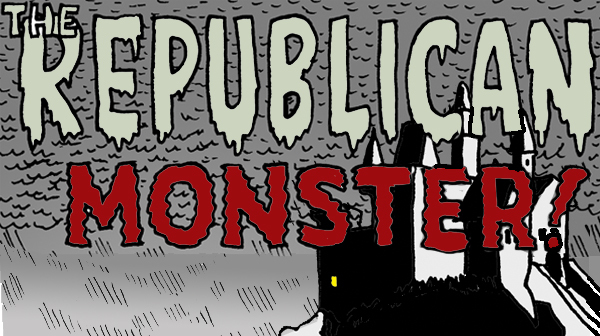 Tom the Dancing Bug, IN WHICH a hapless couple seek shelter in the lair of… The Republican Vampire! Tom the Dancing Bug, IN WHICH the hideous abomination created by the Republicans' hubristic pursuit of power wanders the countryside, wreaking havoc. 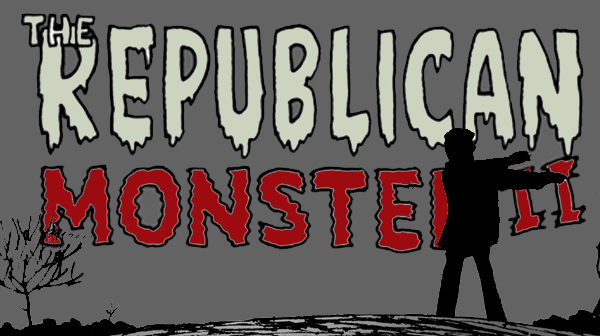 Tom the Dancing Bug, IN WHICH the Republicans create a monster that turns on its master. With apologies to Mary Shelley, Boris Karloff and Mel Brooks. 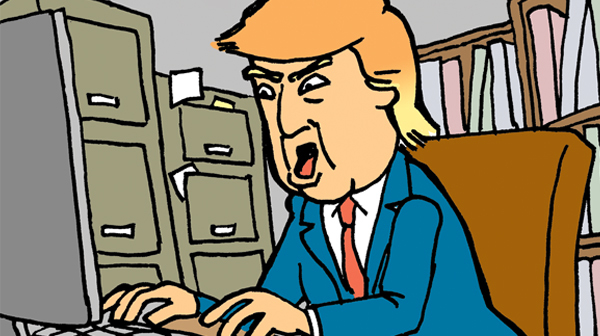 Tom the Dancing Bug, IN WHICH Donald Trump fulfills his pledge to research the KKK, and can't believe what he finds. 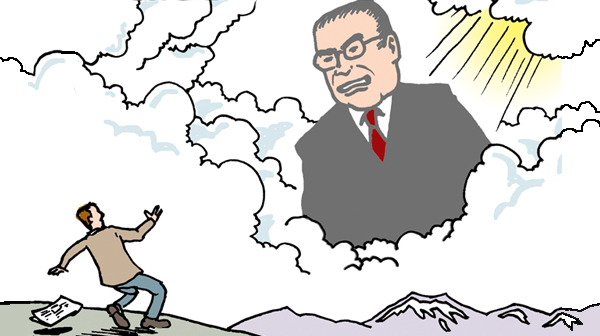 TOM THE DANCING BUG: The Return of Judge Scalia! Tom the Dancing Bug, IN WHICH Judge Scalia now dispenses his brand of two-fisted justice from beyond the grave. 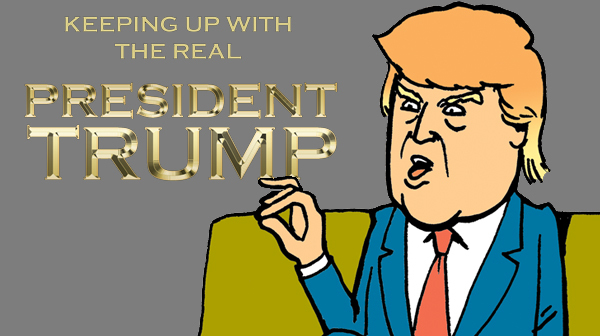 Tom the Dancing Bug, IN WHICH President Trump's reality TV show will be tremendous, classy and the best ever, okay? 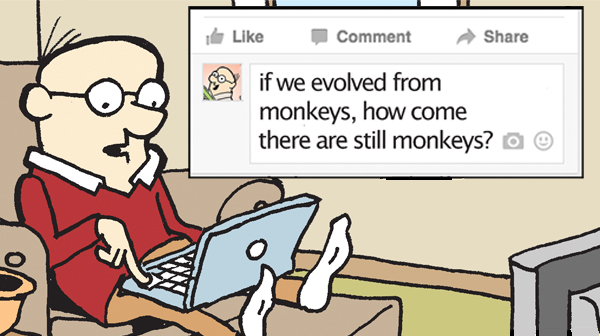 Tom the Dancing Bug, IN WHICH Gavin Smythe, of Chagrin Falls, USA, has an incredible insight that Breaks Science. 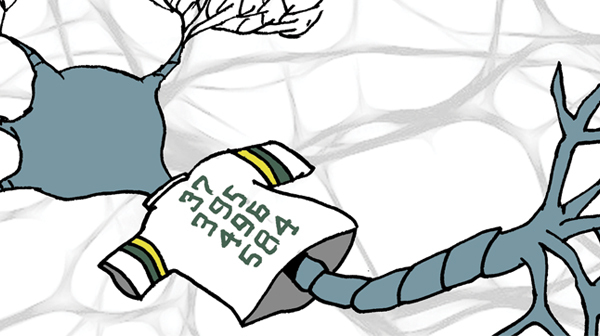 Tom the Dancing Bug, IN WHICH the story is told of the heroic neurons that gave 110% and left it all on the field in Super Bowls past.